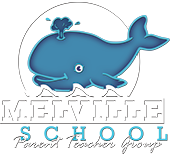 Join us for an adult evening to benefit the students of Melville Elementary School. Tickets: $20 per person (advance sale) or $25 at the door. Price includes Cinco de Mayo appetizers, dancing, and music. Cash bar available with drink specials. Don't Miss the Silent Auction including your child's unique "Classroom Art". Let’s show our Melville teachers and staff how much we appreciate them with this well-deserved week of celebration. We would appreciate any monetary donation you would like to contribute to make the event a success.